Video posted to Twitter and broadcast on national media showed the man swinging a knife at two police officers, while his truck burned in the background. Ashton said there was no longer a threat to the public, but that security would be boosted at events over the weekend. A witness who gave his name as Markel told ABC radio: “Bystanders were yelling out ‘just shoot him, just shoot him’.” They did. 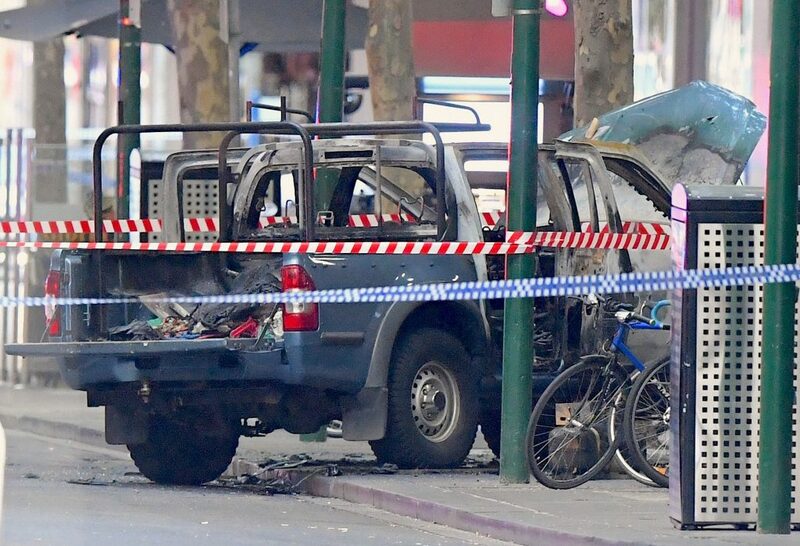 Authorities say Australia’s vigilance has helped to foil at least a dozen plots, including a plan to attack downtown Melbourne in 2016. In December 2014, two hostages were killed during a 17-hour siege by a “lone wolf” gunman, inspired by Islamic State terrorists, in a cafe in Sydney.